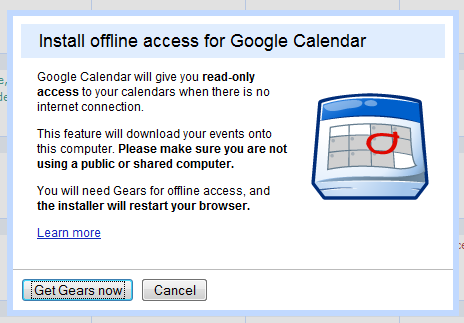 After being tested in Google Apps, the offline version of Google Calendar is now available for all Google accounts. 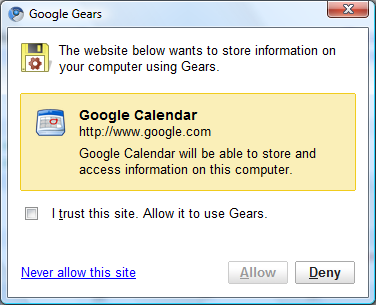 To enable it, you should click on “Offline (beta)” in Google Calendar’s header, install Gears if you don’t already have it, allow Google Gears to store information on your computer and then wait until the data is downloaded. In the Offline Settings page, you can select the calendars that are available offline (by default, only the main calendar is enabled). “You’ll be able to view events scheduled on these calendars the next time you access Calendar offline. Please note that calendars containing web-content events will not display correctly while offline,” explains the help page. Unlike the offline version for Gmail, the offline Google Calendar has many limitations: you need to manually go offline/online, you can’t add events, edit the existing events, search your events or change the settings. 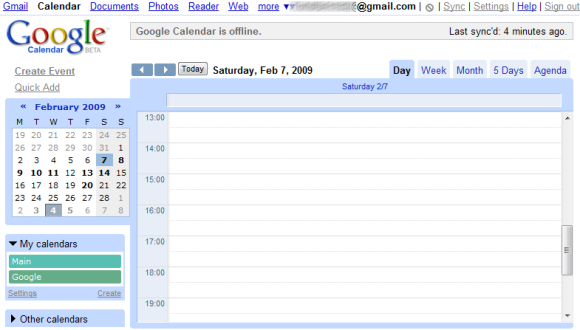 Another limitation is that Google doesn’t download all the events – I noticed a warning: “Your offline calendar only contains events from Feb 4, 2009 to Jun 4, 2009”. The read-only offline version of Google Calendar is only useful to quickly check your agenda when you don’t have an Internet connection. 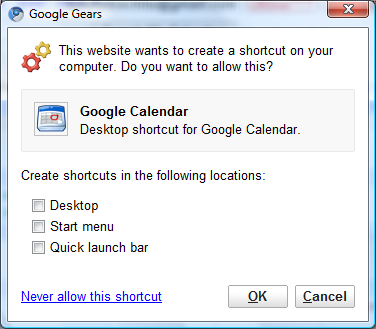 For more features, you should check Mozilla Sunbird, a cross-platform tool that can synchronize with Google Calendar using CalDav. Make sure to enable caching if you want to view the events from Google Calendar when you are offline (you still can’t edit the events or create new ones).